November 27, 2011 By This post may contain affiliate links. 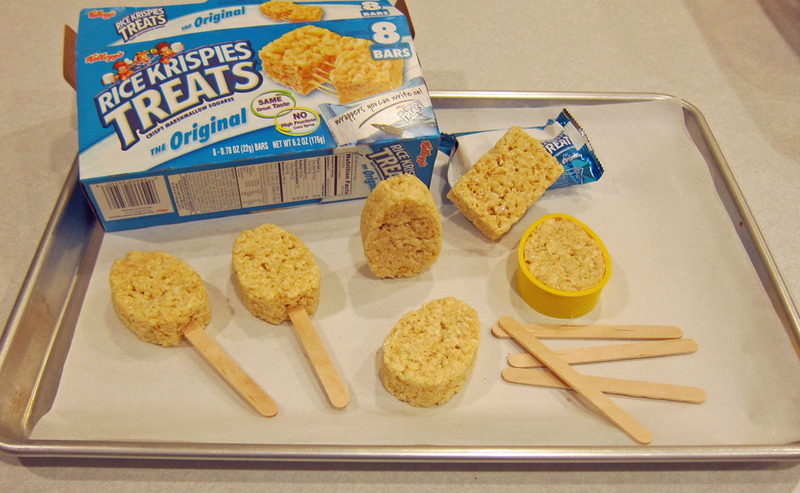 These Sweet Penguin Rice Krispies Treat Pops will warm your heart right up! 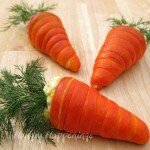 They’re so simple to make and even better to eat! Have you ever pet a penguin? I am happy to say that I have had this wonderful opportunity at our local aquarium more than once. On our first visit, we entered the penguin habitat and were immediately greeted by a few playful attention seekers. The rest of the group quickly jumped out of their pool and waddled down the ramp to join in the fun. I couldn’t wait to touch one of the adorable little birds, but had to be patient until a handler brought a penguin to sit at my feet. As instructed, I set two fingers on the penguin’s head. His feathers, slick from the cold water, felt slippery, almost like a scuba diver’s wet suit. As I was focused on gleefully petting this penguin, I felt a tug at my foot and looked down to see another penguin playing with my shoe lace. She was abruptly scolded, which disappointed me because I really didn’t mind her playfulness. Still wanting attention, she came over to have her chance to get pet. She must have been out of the pool longer than the male, as her feathers felt billowy and soft. 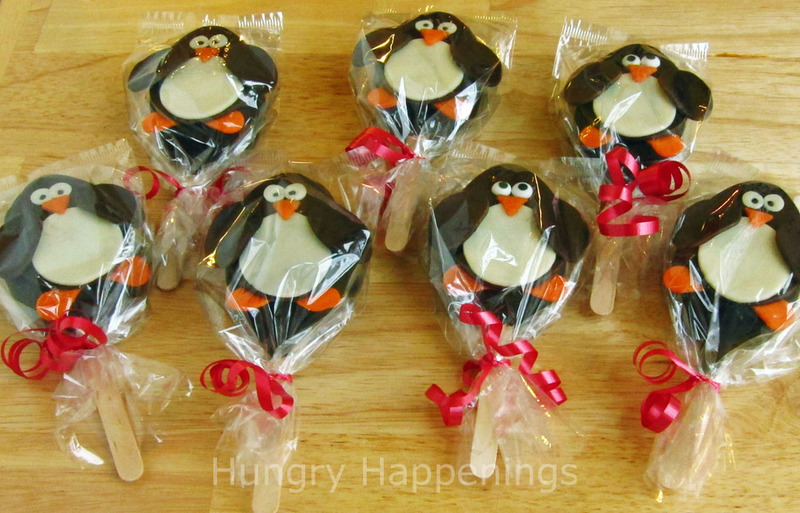 Our time with the penguins was short, but truly remarkable and I enjoyed it so much that we decided to return to the aquarium a year later to visit with them again.I’ve been wanting to make an edible craft featuring penguins and knew that winter was the perfect time to present them. As far as animals go, they are pretty easy to replicate in the form of food, as they have a very simple body shape. I chose to revisit a recipe that has proven successful for me. Previously, I have created chick pops, and ladybug pops, using rice krispies treats shaped like an egg, dipped in chocolate and decorated with modeling chocolate. Being a penguin is slightly egg shaped anyway, I knew I could easily create a penguin pop the same way and I found that a few simple shaped pieces of modeling chocolate assembled together did indeed form a perfect penguin. To make these modeling chocolate pieces, I could have cut them all by hand, but it was so much faster to use the set of mini cutters pictured at left. These cutters are intended for use with clay, and can be found at craft stores or on Amazon.com here. 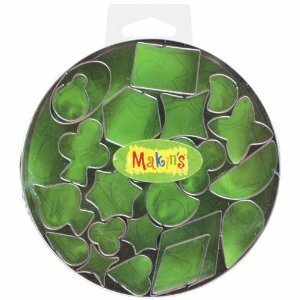 If you like to work with modeling chocolate or fondant, I would highly recommend picking up some of the Makin’s Cutter Sets. 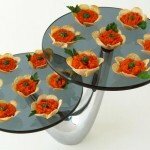 I like this one in particular because it has several sizes of each shape. It was the perfect set for cutting out the parts of my penguins. I used the oval for the wings, the large diamond for the beak, and the small tear drop for the feet. 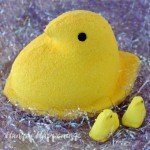 I also used a 2″ x 2 1/2″ egg cutter for the body and a 1 1/2″ round cutter for the belly. 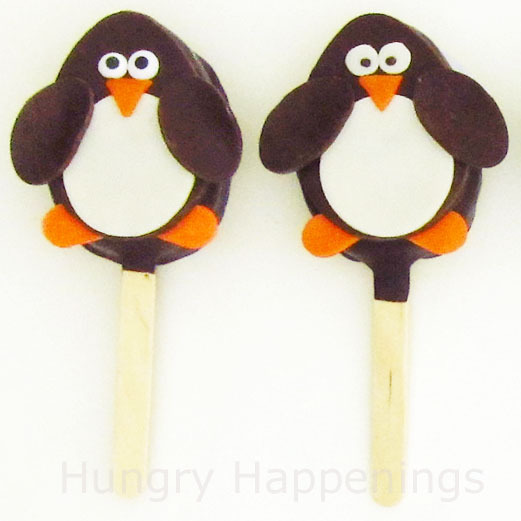 You can also use round pastry tips to cut out eyes or simply purchase candy eyes. 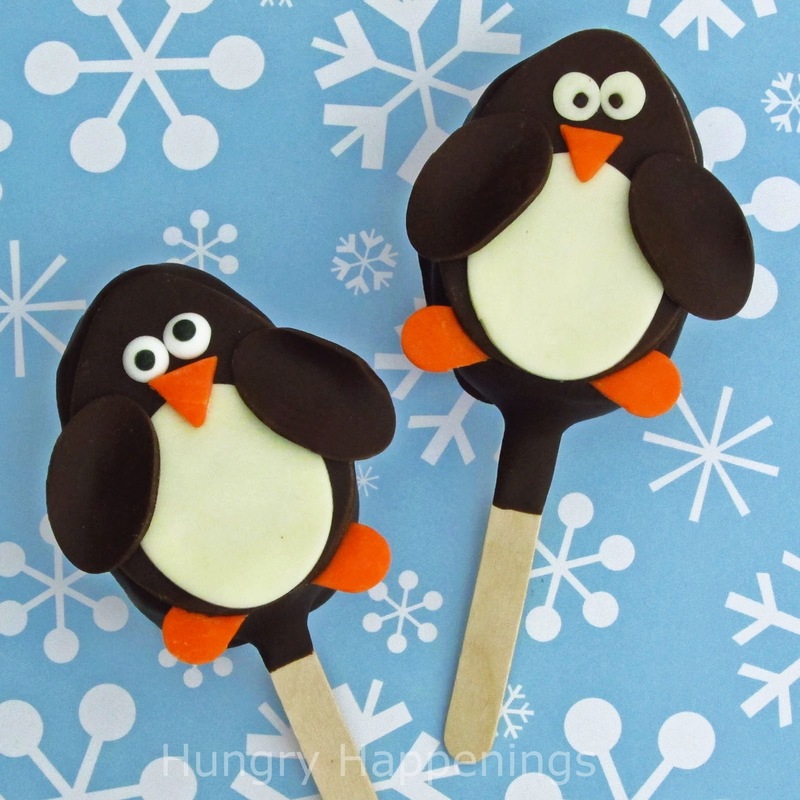 Both work great.For these holiday pops, I created the entire penguin out of modeling chocolate then set it on top of a chocolate dipped cereal treat. You could if you prefer, just frost the top of a cereal treat, cookie, cake or cupcake, and set one of these cute penguins on top. I prefer to use modeling chocolate to make all of my decorations, but you can swap out store bought or homemade fondant if that is easier. 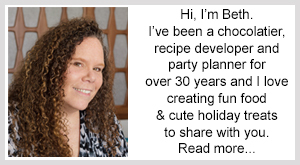 Before you begin, if you aren’t experienced with making chocolate, read my chocolate making tutorial which includes information on types of chocolate to use, melting instructions and the recipe for modeling chocolate. I dipped my cereal treats in dark chocolate and think it looks great with the addition of the modeling chocolate penguin. You can, if you desire, dip them in milk or white chocolate. You could even keep the rice krispies treats rectangle, dip them in blue colored white chocolate and top with a penguin. Pinch off a small amount of white modeling chocolate and color it orange (go here for directions.) Dust a cutting board lightly with powdered sugar. 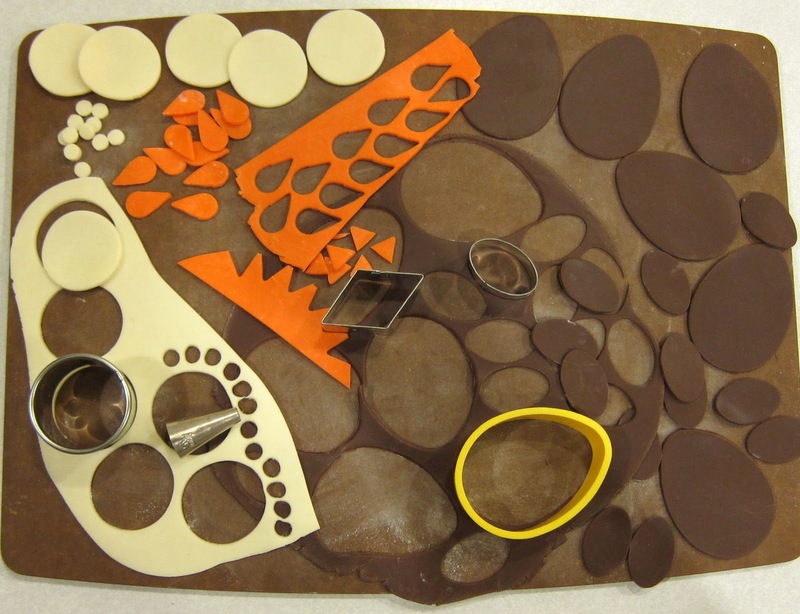 Roll white, orange, and dark modeling chocolate out to 1/16th of an inch thickness. Using your cutters or a knife/kitchen shears, cut out 8 dark chocolate eggs for the bodies, 8 white 1 1/2″ circles for the bellies, 16 dark ovals for the wings, and 16 orange tear drops for the feat. Use the very tip of the diamond cutter to cut out 8 triangles for the beaks. If you are making your eyes out of modeling chocolate and are not using candy eyes, cut 16 small white circles using the #12 pastry tip and 16 tiny dark circles using the #4 pastry tip. Use your egg shaped cookie cutter to shape the rice krispies treats. I squish the ends of the treat and press it into the cutter then press around the edge to fill in the cutter so that the treat has a nice egg shape. 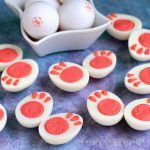 If using homemade treats, just cut the treats using the egg shaped cutter. Insert a craft stick into the larger end to the treat. 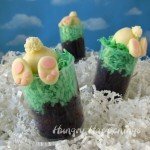 Pour your melted and tempered pure chocolate, or melted confectionery coating into a tall glass, just wide enough for the egg shaped cereal treats to fit. Pick up one of the cereal treats by the stick and dip the treat into the chocolate, completely coating it before removing it from the glass. Shake off the excess chocolate. 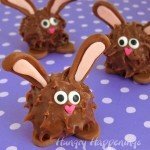 I recommend dipping the top of the treat into the chocolate then pulling it out quickly and repeating a few times. This action helps pull away the excess chocolate from the treat. Set your dipped treat on a parchment paper lined baking sheet and immediately top it with one of the modeling chocolate penguins. Gently press the penguin onto the treat. 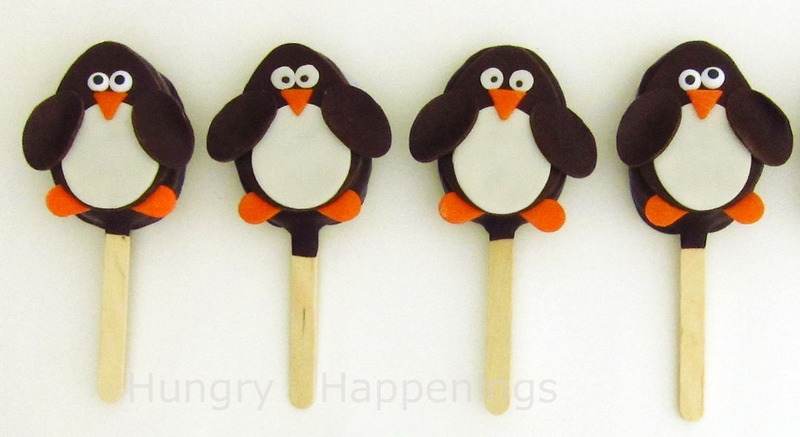 Continue dipping your treats and topping them with penguins. Refrigerate, if using pure chocolate, and freeze if using confectionery coating/candy melts until the pops are set, about 10 minutes. Allow them to come to room temperature before serving. Package them in clear cellophane bags if giving as gifts. Those are unbelievably cute, Beth! Thanks Angela and Vanessa. I have more of these pops to come this week. How awesome is that, I wish we could pet a penguin. And those pops are too cute. Sue, oh I hope you get a chance to pet a penguin. I never thought I would. It was so fun. Beth, Thanks for visiting. I linked up to your party. HI Beth, thanks so much for featuring my pops. I grabbed a button and posted it on my Featured On page! So creative and very cute! You're an artist. Thanks for sharing on Crazy Sweet Tuesday!